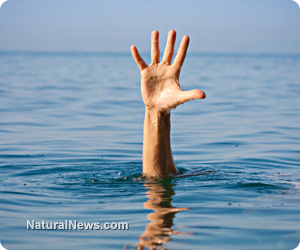 (NaturalNews) There are solutions to madness, psychosis, and personal crises. What I mean by madness is an experience of overwhelming emotional distress that leaves us feeling isolated, abandoned, frightened and helpless. Sometimes we feel it as demoralizing guilt, at other times burning shame or terrifying anxiety, and sometimes all three at once. We may escape into frustration, anger and rage, but beneath always lies fear and helplessness. We may hear voices or see things that others don't experience, or more mundanely tie ourselves in knots with obsessions and compulsions. At the root is always the core human experience of fear and helplessness. In my book Toxic Psychiatry I call it "emotional overwhelm." A psychiatrist may diagnose madness as psychosis, schizophrenia, depression, panic disorder, or bipolar disorder, and then insist that it needs a medical fix. From the other side of the human spectrum, saints in the midst of madness have felt they were being tortured by the devil and tempted by evil, and they turned successfully to faith. Some of us think madness is an inevitable part of the human experience, especially if we open ourselves to discover our true nature and purposes in life and to transform ourselves in new directions. As infants we are born into fear and helplessness, wholly unable to survive on our own, and then rescued and transformed by those who nurture us. Those who raise us create the social fabric in which we develop, making our personalities and identities in many ways inseparable from the people who have raised us. Madness or emotional overwhelm is a tearing apart of this intimately woven internal and external social fabric of our lives. Madness or feeling extremely overwhelmed and desperate usually starts as a horrific experience or soon becomes one. Yet these experiences can motivate us to reweave our personal and social fabric into a new artistic, spiritual, or even political perspective and approach to our lives. Read the lives of people whom we value as great contributors; most of them were psychiatrically diagnosable, and the others remained below the psychiatric radar by hiding their private feelings and their personal crises from public view. Perhaps we are not meant to become fully human without going through our own experience of madness or terrifying overwhelm, whether it manifests as adolescent angst, a midlife crisis, or an outright "psychotic break." Paraphrasing Shakespeare, "One touch of madness makes the whole world kin." What we call madness commonly results from the rips and holes in the social fabric that have been woven into us from infancy and probably from gestation. So the "solutions" to madness always involve a healing of the internal and external social fabric through developing new and better approaches to life, usually along with new and better relationships with people or God, or both. Through God we can relate to something or someone greater than ourselves regardless of the chaos, turmoil, or hatred in which we are immersed. And who or what is God? That's for each of us to decide. For some it's a personal relationship, for others a moral abstraction, for some it's a childish myth, and for others a way of affirming that the meaning of life lies in becoming a source of love - a person who has joyful experiences of other people and life and who seeks to protect, nurture and treasure people and other aspects of life. This is the practical sum of my wisdom from more than seven decades with myself and among other human beings: There is love and then there is everything else, all the dreadful and demoralizing stuff, including the breakdown of our sense of self and our relationship with others, ending in overwhelm and madness. To love others, nature, art, pets - to love any aspect of Creation - is incompatible with madness and provides the way through it to a better life. The problem is that love is easier said than done. It is no small challenge to become a loving human being. And it is not a given that we will become loving. We are not born with it; we have to grow into it. To do so we must, again in Shakespeare's words, overcome "the slings and arrows of outrageous fortune." Even more daunting, we must overcome our own human nature with all its flaws and inner contradictions. Yet this is the task and the adventure. It never ends as long as we are alive and, who knows, it may not end there. So what is the "solution" to madness as well as nearly every other experience of emotional distress and overwhelm? It lies in every opportunity we have to learn to take responsibility for becoming ever more loving. It cannot come from psychiatric drugs or other psychoactive substances; each and every one impairs our frontal lobe function which then makes it more difficult for us to love, to relate to others, and to affirm higher values. We are not merely our brains; but drug-induced brain dysfunction impairs our ability to know and to express ourselves as souls, beings, or persons. Sure, psychotherapy can help - if it's done well and suits our nature - but it cannot help without our finding the determination and courage to love. Becoming a source of love has very practical applications to every aspect of our lives from family and romantic life to work, religion, and politics. In regard to helping human beings in personal distress, it lies at the heart of psychotherapy. And as psychotherapy becomes increasingly unavailable under government healthcare, a caring and treasuring attitude toward one another needs to be recognized as the most fundamental aspect of every form of healing. Whether we are looking at Twelve Step programs, volunteer and peer support, parenting classes, family therapy, or frontier mental health alternatives like Soteria House or Open Dialogue for severely distressed people - caring, respectful relationship is the starting point and the most critical element. Some of my contributions relating to mental health alternatives and helping those who are deeply disturbed include my book Heart of Being Helpful (2006), my Empathic Therapy Training Film DVD (2011), and the Empathic Therapy Conference DVD set. I am also producing a growing "Simple Truths about Psychiatry" series of short videos. The most recent video is "How to Help Deeply Disturbed Persons." Our last resort must never be psychiatric drugs, diagnoses or involuntary treatment; it must be the determination to find personal and social solutions based on respect and love for ourselves, for each other, for nature, and for God. Who can help us through madness? Anyone trustworthy and loving but only if we have the courage to take the risk of being vulnerable yet one more time in this treacherous place called Earth. Experience and wisdom helps in everything we do, and sometimes training can be useful, but the underlying operating principle of someone helping must be a caring and reverential attitude. If the relationship is personal such as friendship and family life, we must take utmost responsibility for being ethical, honorable, and honest. If the relationship is professional, we must also emphasize the boundaries and limits placed upon it, otherwise a supposedly "loving" professional relationship can easily become self-serving to the provider and abusive to the recipient. How do we know and recognize love or a loving relationship? By how it brings us to take joy in the existence of other human beings and by how it leads everyone involved to care about, respect, protect and nurture them. The core of what I'm saying has been said in different ways in untold numbers of religions and philosophies but it is too rarely applied to personal crises, experiences of overwhelm, or people who are labeled with psychiatric diagnoses. What you are reading is my way of cutting through distorted views of modern psychiatry and all the other junk in life to get to what matters. What matters is taking responsibility to love ourselves, one another, and our highest values or God. I have been thinking and writing about these issues my whole adult life going all the way back to when I was a Harvard undergraduate running a college student volunteer program in a Bedlam-like state mental hospital. From that time forward, I have realized that human relationship is the key to healing emotional crisis and distress. The subtitle of Toxic Psychiatry (1991) sums it up: Why Therapy, Empathy and Love Must Replace the Drugs, Electroshock and Biochemical Theories of the "New Psychiatry." In The Heart of Being Helpful (1997), I describe the creation of a "healing presence" as the key to all helping relationships. In my latest book, Psychiatric Drug Withdrawal (2013), I present the Guidelines for Empathic Therapy developed for our nonprofit Center for the Study of Empathic Therapy. The first guideline affirms, "We treasure those who seek our help, and we view therapy as a sacred and inviolable trust. With humility and gratitude, we honor the privilege of being therapists." This is how to enter all of our relationships. It is crystal clear to me now - everything good between and among human beings begins with and draws on relationship and love. Love is the most essential ingredient in all the activities we call therapy, healing, recovery, rehabilitation, self-empowerment, personal growth, or enlightenment. Becoming a source of love is the most wonderful thing we can do for ourselves and others. In a word, love is central to life. Life offers many roads for recovery and self-transformation from therapy and education to friendship, family, work, nature, and spirituality. At the heart of all personal growth is the experience of love which lifts us beyond ourselves to a joyful and treasuring awareness of all that is good in ourselves, others, and life. Peter R. Breggin, MD, is a psychiatrist in private practice in Ithaca, New York (www.breggin.com). He is also the director of the Center for the Study of Empathic Therapy. The Center has annual conferences open to the public. DVD sets for the Empathic Therapy Conference are available and provide inspiring and informative perspectives.